"There will certainly be those out there that will think a SLAYER record can’t be done without Jeff, but this is a new era." For more than three decades one band has been at the forefront of the thrash metal movement. Revered by many and emulated by scores of young new artists, there can still only be one SLAYER. The past two years have brought many changes for the five time Grammy nominated, undisputed kings of thrash; the death of much beloved guitarist Jeff Hanneman after a lengthy illness brought the question of the band’s continuation to the forefront of the metal world. Fans and musicians the world over were shocked and saddened by the news of Hanneman’s passing and everyone wondered if this was the end for SLAYER. It was speculated in the press and on social media and it was heartening to find that support of the band’s continuation was so strong with fans. Founding member and guitarist Kerry King says there was never any question of ending the band as that was not what Jeff would have wanted. 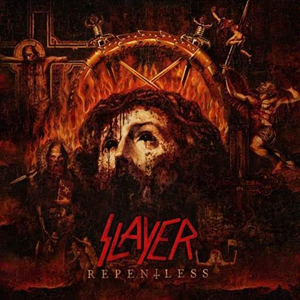 The band that would not repent nor relent reached out to a longtime friend, EXODUS guitarist Gary Holt, and together with vocalist and bassist Tom Araya and drummer Paul Bostaph, the band has released their first album for Nuclear Blast Records entitled Repentless. The band headlined what is said to be the last Rockstar Energy Drink Mayhem Festival this past summer and while the line-up of bands was strong, the size of the festival was much smaller in scale and appeared to be more of a SLAYER tour with multiple opening bands. There was also much publicized discontent between the band and the festival owners; however, King didn’t want to dwell on what was an excellent way for multi-generational fans to be exposed to the band. King did say that the song “Take Control” does stand out to him because of the speed and intricate riffs showcased within the tune but that each song on the album was carefully crafted and well thought out during the writing and recording process. 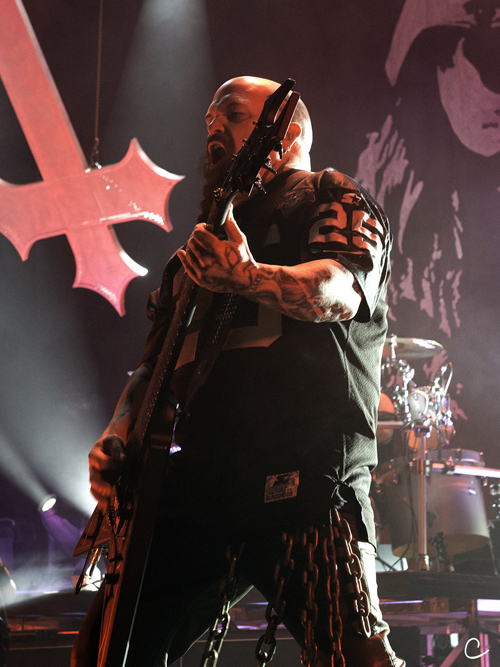 He said that the band took care with this record not only because it was something new for SLAYER fans but because they had also moved to another label and wanted their debut to be spectacular. Incidentally, the new album debuted at #4 on the Billboard Top 200 Album charts and it was the highest charting release for the band in their 32-year musical history. Repentless now also holds the record as the band's career-highest chart debut in Germany (#1), Holland (#2), Australia (#3), New Zealand (#8), the UK (#11) and on the Japanese International Chart (#1), and bowed at #3 in Finland, #3 in Canada, #4 in Belgium, and #5 in both Sweden and Greece. Additionally, the album debuted in the Top 10 in France (#7), Italy (#8), Hungary (#9) and Japan (#10). The band released a video for the title track in September and it has already has views in the millions on YouTube. The storyline of the video reveals the band playing inside a prison yard when a riot breaks out. It’s a brutal and exciting video that has garnered much attention and King thinks the video captures the ferocity of the song. It can be viewed on KNAC.COM right HERE.